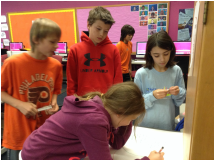 Fifth graders spent the week of December 9th learning to code. CS Ed week occurs each year during the week of Admiral Grace Hopper's birthday. Grace Hopper would have celebrated her 107 birthday on Monday, December 9, 2013. If you don't know who Grace Hopper is, she is an extraordinary figure of American history and is credited with producing many of the foundational aspects we view as commonplace in modern computers. Among other things she gave us the term "debugging" for working out problems in computer code, inspired by a time when she actually had to remove a live moth that interfered with a computer she was working on. As part of CS Ed Week a non-profit called Code.org has organized a MASSIVE learn-to-code movement called "The Hour of Code". The goal is to see how many Americans - children and adults - will spend one hour during this week learning how to code. 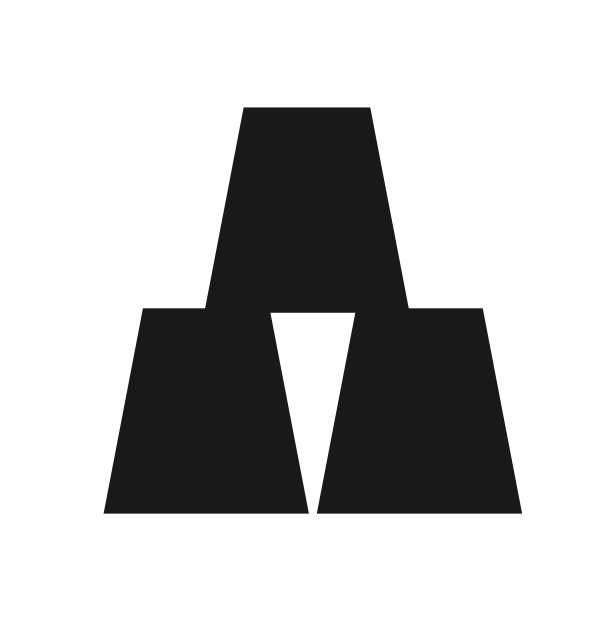 There is a website with dozens of one-hour tutorials for coders of all ages and experience levels. 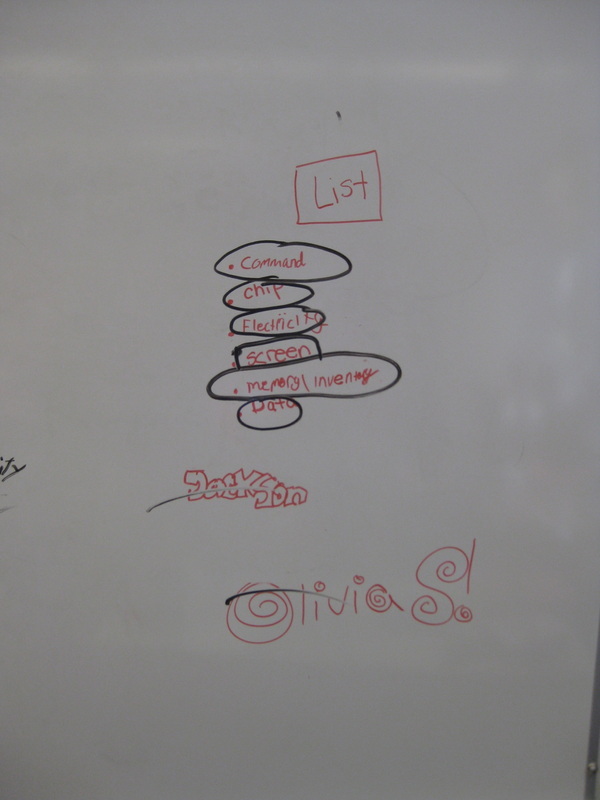 The fifth graders worked on the "Angry Bird" tutorials from Code.org. Go here to find out more: Learn to Code Once the students have finished all 20 levels they receive a certificate of completion. 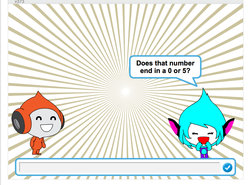 If they wish to continue using with the tutorials, they can click on this link to find additional levels. The students really enjoyed their experiences.. Now is the time for everyone to learn to code! Join the movement and participate this week. What are you waiting for - programming is for EVERYONE! This year's CSTA annual poster contest attracted students and teachers from all over the globe. Compared to last year's entries of a little over 100, this year's competition had over 600 submissions: approximately 55 elementary posters, 125 middle school posters, and over 400 high school posters. I am very proud of my fifth grade students who worked very hard over the last two weeks on their submissions. Many individuals find the computer science classroom to be a confusing place. 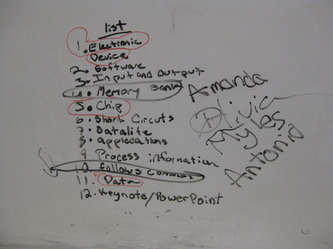 Majority of students assume that the main objective of the class is to learn programming (and in my classroom, that would be to learn Scratch), while actually the predominant 21st century skills that I am teaching my students are; creative problem solving, computational thinking and collaboration. 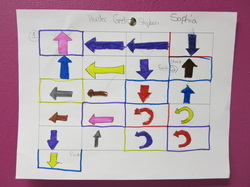 This week in the fifth grade classroom we started the process by learning about algorithms. 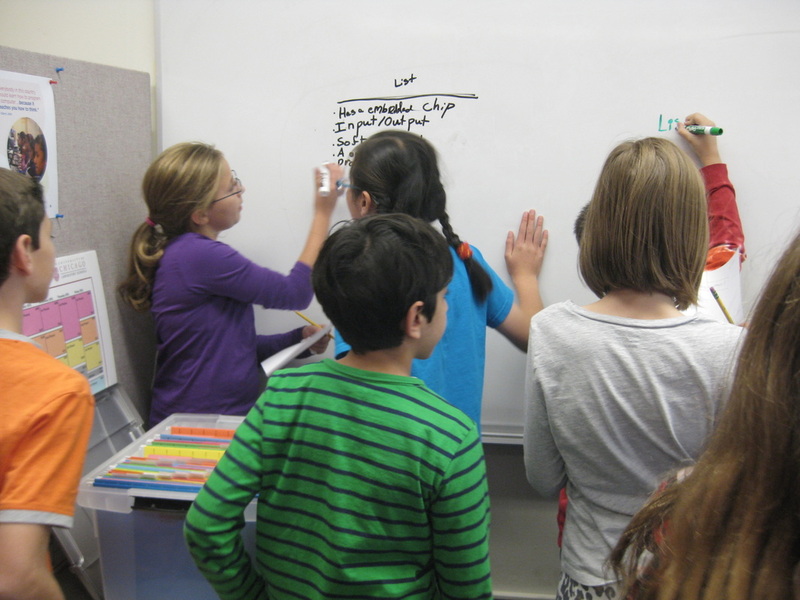 Students experienced firsthand the importance of clear, precise instructions and a common vocabulary. 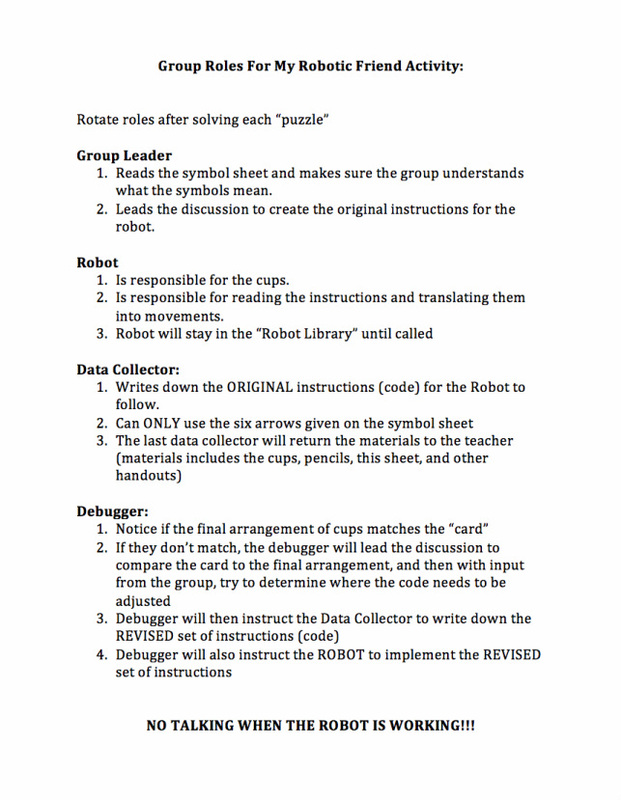 The goal (objective) was for the students to "program" (write a set of instructions) for their robot (a fellow student) to move a stack of cups from a starting position to a final configuration using ONLY six symbols. 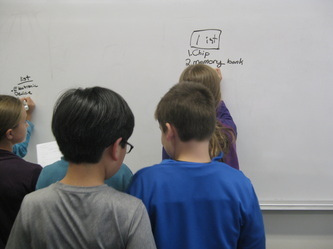 Almost immediately the students realized that they needed to agree on what the symbols meant based on the final layout of the cups. 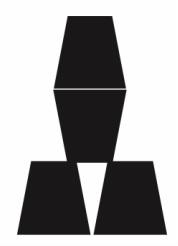 For example, which symbols or set of symbols, would get the cups to be face up . We agreed that the turn 90 degrees would accomplish that task. The other thing that we agreed on, was that (at least for now) every time they need another cup, they would just say pick up cup, and it would bring the "robot" back to the stack. The students worked in groups of three or four. 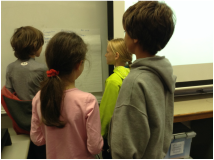 Each student had to assume a specific role to complete the activity. Even though they would all have a turn at each of the roles, for some of the groups, assigning the initial roles caused some tension. Thankfully after some assistance, all of the groups managed to get at least one "program" completed. I enjoyed watching them work through the problems, I overhead some insightful conversations and found that they had discovered that collaboration was key. I look forward to seeing them tackle more challenging problems in the future! 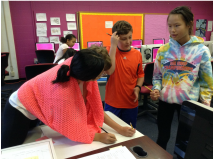 In honor of CSEdWeek, the Computer Science Teacher's Association's (CSTA) Equity Committee will be hosting its annual poster competition "We Are the Faces of Computing". This contest invites students of any age to design a poster that highlights the diverse and creative ways that students do computer science together. Winners of the Elementary School, Middle School, and High School competitions will receive either three Finch robots or a Lego Mindstorms robot for their classrooms and have their posters published on the CSTA website. The fifth grade students are participating in this international competition. 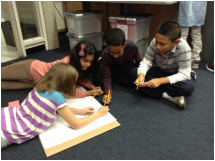 Working in groups of four, students spent this week brainstorming and collecting images for their poster. 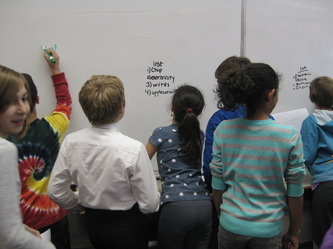 In addition to the poster containing an photograph of the group, the poster also should include creative images that reflect their lives, interests, and experiences with computing. 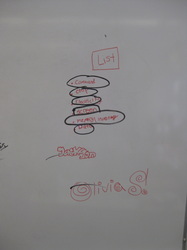 The digital medium for the poster has been left to each individual group to decide. While watching them work over the past week, I have been very impressed with their creative approach to the project. They have been experimenting with Photo Booth, Comic Life, Microsoft Word, Pages and Scratch. I can't wait to see their finished posters. I saw this infographic last night on my twitter feed and I believe it speaks volumes about the importance of teaching computer science to students starting in the elementary grades (or lower school). I realize that many people continue to be skeptical about the need for EVERYONE to learn to "code". However, while we may use the word "code" to describe the process of writing computer programs, it is much more than that. "Coding" aka computer science is about creative problem solving, critical thinking and innovation. Very important skills for ALL of our students that will prepare them for life in the 21st century and beyond. So next time your child wants to play a video game, encourage them to "code" instead! Thanks to Kodable for the infographic! What makes something a computer? 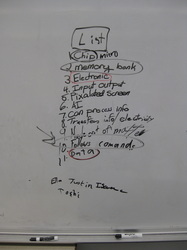 The fifth graders continued their exploration of what constitutes a computer. 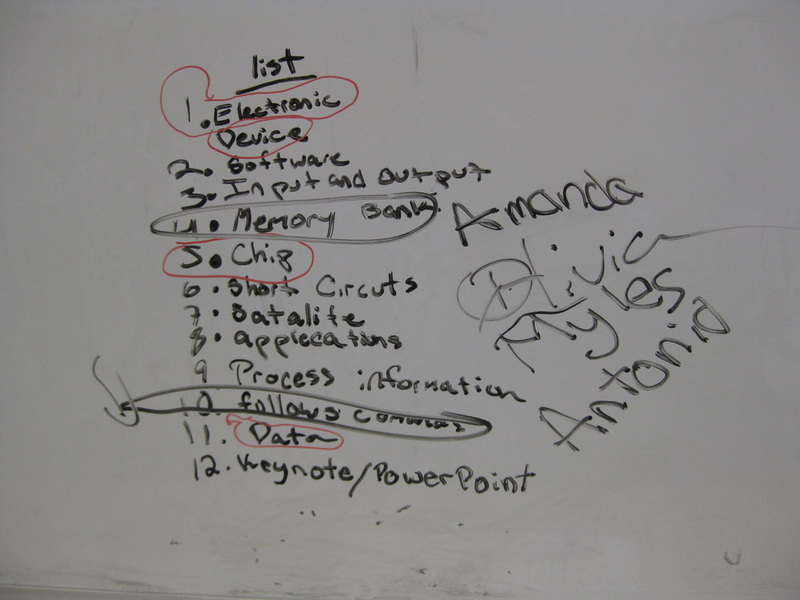 Working in groups of three or four Mrs. Mitzenmacher's class (10-22-2013) and Mrs. Mannering's class (10-23-2013) created a list (from items in the computer class room) that either - Were Computers, Might be Computers, or Definitely NOT Computers. The students made some pretty insightful observations. For the past four weeks the 5th graders worked diligently on their Dots for World Dot Day. I was finally able to combine all of their dots (over 125) into one project. The finished program is amazing. I encourage you to take a look. 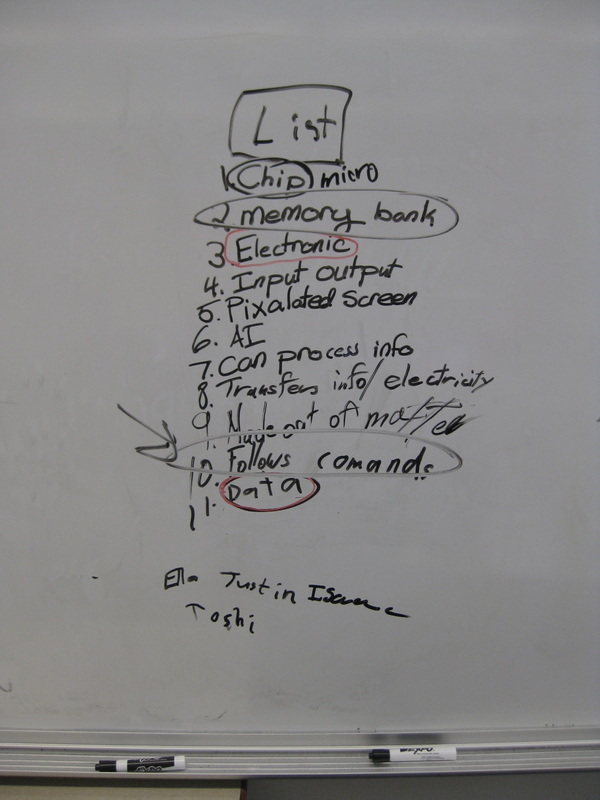 Some of the students have already begun exploring Scratch on their own. We will revisit Scratch through out the year. They will learn some pretty amazing things. I can't wait to share them with you. Make sure to check back often! 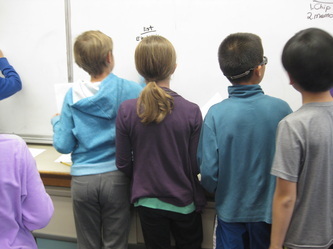 The students in Mrs. Mitzenmacher's class have been working on the divisibility rules over the last couple of weeks. 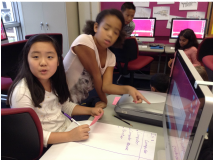 To help them share their understanding of the concepts, the students (working in pairs) were given the opportunity to create a Scratch program demonstrating the appropriate rules. The code would include a series of IF or IF-ELSE statements. To introduce the concept (of IF-THEN statements), I read the short-story to the students , Computational Fairy Tales - Learning IF-THEN-ELSE the hard way. What exactly is a computer? Where can we find computers? 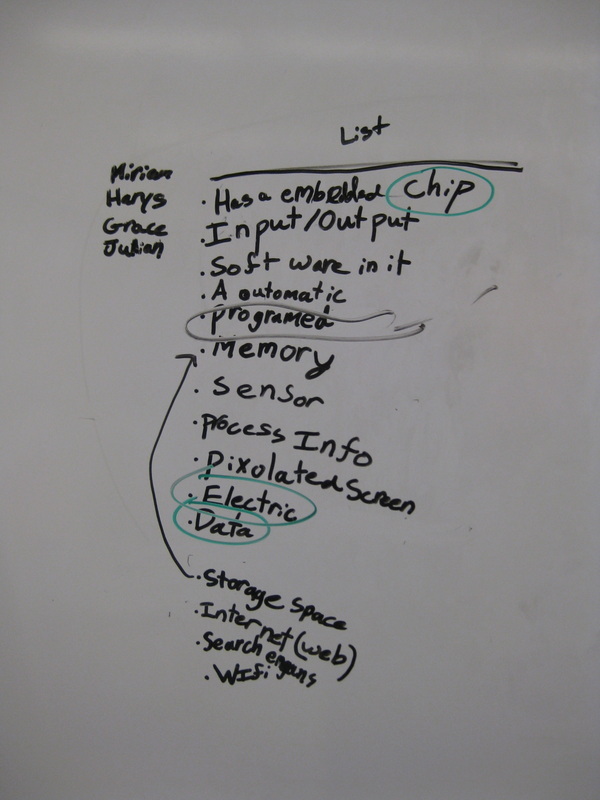 These were some of the questions that the students explored after viewing the movie from Code.org, For many the conversation was pretty obvious, but for others, the line between a computer and other "machines" was a bit blurry. In today's world it is getting harder and harder to make the distinction. It seems that almost everything MIGHT qualify as a computer. So what exactly is a computer? A computer is a machine that carries out instructions given to it by a human. Without instructions, computer wouldn't be able to do anything. So what can computers do that humans can't? Can store huge amounts of information that they never "forget"
So in addition to the traditional computer (laptop, desktop, iPad, etc), many of the devices in our homes have an embedded computer (a small silicon chip that carries out stored instructions). The modern home has over 100 of these computers, built into devices like a toaster, stereo, washing machine, etc. A modern car may have another 100 or more embedded computers. 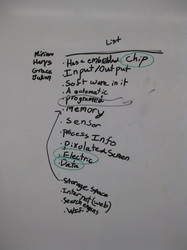 This week the 5th graders spent time thinking about what computers are and how they fit into their lives. To kick off the conversation the students watched a short video clip produced by the non-profit foundation,Code.org. They believe that EVERY student in EVERY school should learn computer science. 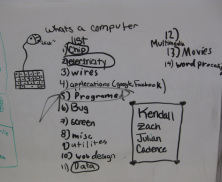 After watching the film the 5th graders shared their impressions of the film and of computer science. "The closest you can get to having a super power is to be a programmer"
"You can open your mind, do whatever you can think and imagine, and you can do this through computer programming"
"Programming can help you with math and science"
Wow, I don't know about you, but I think I want to learn to "code"!